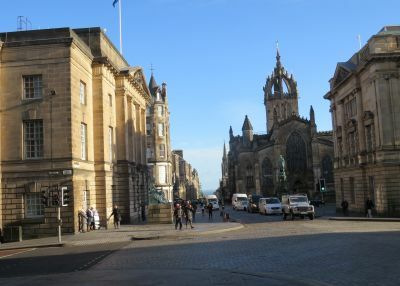 For the past 10 years I have been leading walking tours2 of the famous Royal Mile in Edinburgh. What a joy it is to weave our way around the old streets where people can discover our extraordinary Christian heritage. Here St Columba and St Cuthbert preached, as did John Knox and the Scottish Reformers; here the Covenanter Christians bled and died for their faith. Amidst the years and turmoil of the ages revival has broken out to transform the world from this very street, and a host of famous preachers have played their part, from John Wesley and George Whitefield, to Charles Finney and Dwight L. Moody. Of course there has been great opposition to this City of God and many have arisen to challenge it. Edinburgh’s history is full of witchcraft, false religion and the philosophies of men. During the 18th century we saw the Enlightenment movement centre on the Royal Mile; David Hume, influenced by the French philosophers like Voltaire and Buffon, began the task of dismantling Christianity, regarding it, and especially the idea of miracles, as being childish and inept. On the Royal Mile the Freemasons5 gathered in Canongate, in the oldest Masonic building in the world, and they discussed and debated philosophy. Amongst them was James Hutton, the Father of uniformitarian geology,6 whose house was close by. He reasoned that Arthur’s Seat, the hill at the bottom of the Royal Mile, showed evidence of rock being laid down over millions of years. When he made his excursion to Siccar Point on the east coast of Scotland he became excited at the thought of such vast vistas of time. For him and others, Genesis had been discredited. “Though Darwin now proclaims the law and spreads it far abroad, O! The man that first the secret saw was honest old Monboddo. The architect precedence takes of him that bears the hod, O! 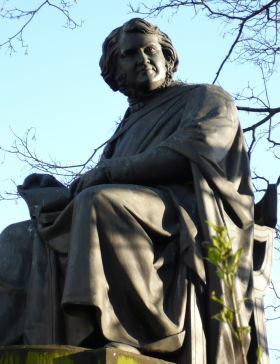 Erasmus Darwin was influenced by Monboddo at Canongate Lodge, and after he left Edinburgh he wrote two books: The Temple of Nature (1798) and Zoonomia: Or the Laws of Organic Life (1803). Both of these promoted an evolutionary belief. 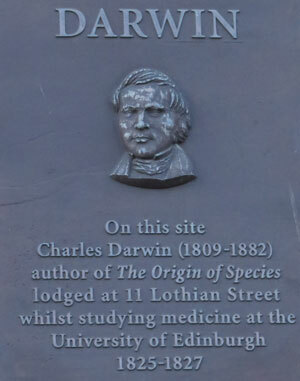 It is not surprising that when his grandson, Charles Darwin, also came to study medicine at Edinburgh University, the ideas of the Enlightenment were very influential in his thinking. Later he was to publish Origin of Species in 1859, which openly promoted evolution. 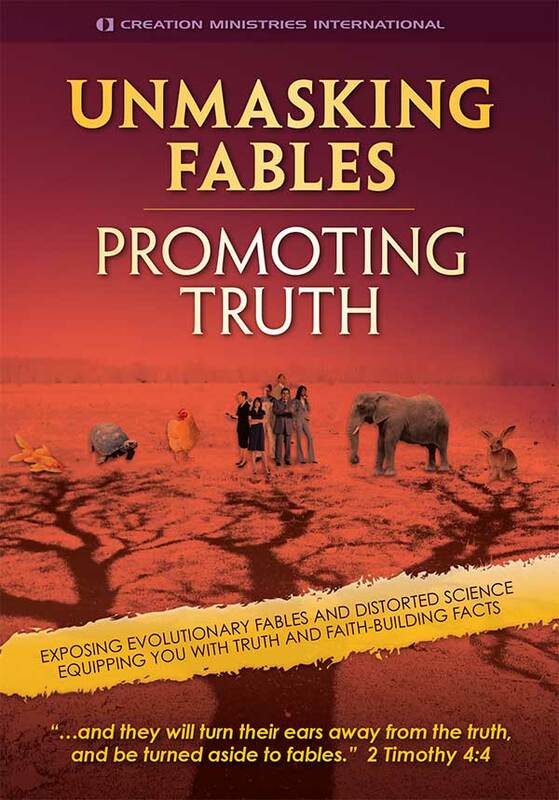 Thus we see that there were key figures from Edinburgh who undermined biblical Christianity and promoted skepticism, millions of years, and evolution. These two images show the stark contrast between Christendom and the ‘dark side’ of Edinburgh. In the 19th century, the Church in Edinburgh was taken by surprise—and most of the clergy were unable to cope—with the avalanche of ‘new ideas’ that kept pouring out of the intellectuals in the Royal Mile. Philosophy began to stalk the church congregations, with deism being the prime mover (see Roots and fruits). It was taught that God did make the world, but that He withdrew, and that miracles cannot happen anymore. Many of the clergy spent much of their time debating philosophy; but all the time, skepticism, long ages, and evolution were advancing in their midst. There were key figures from Edinburgh who undermined biblical Christianity and promoted skepticism, millions of years, and evolution. There were, of course, those who contended for the faith and stood their ground, such as the Scriptural Geologists, notably George Young, Andrew Ure, and John Murray.9 Gradually, however, Christians began to mix the Bible with other philosophical ideas. 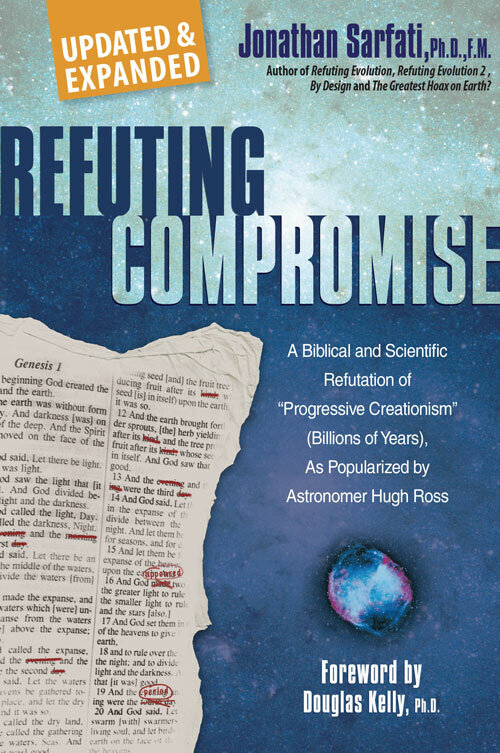 From Edinburgh, in 1812, the great Christian social reformer, Dr Thomas Chalmers (1780–1847), came up with a new interpretation of Genesis 1, which is now known as The Gap Theory.10 He attempted to squeeze in Hutton’s millions of years. Hugh Miller (1802–1856), who made geology popular in the 19th century, proposed the Day–Age Theory, in which the days of Genesis could each represent millions of years. Following on their heels was Professor Henry Drummond (1851–1897) who taught Theistic Evolution11 as being biblical science; yet he worked alongside D.L. Moody, the evangelist from Chicago, in one of the greatest harvests of souls for God in Edinburgh’s history. Today, the Church has slumped to an all-time low, with only about 1% of the city’s population professing to be evangelical Christians, and among this small percentage only a small proportion accepts the traditional Genesis account as true history. Liberalism swamps the city and churches, and atheism patrols the halls of power here. It would seem a hopeless situation for those who submit to God’s Word as the authority for all things. And yet we serve a God of resurrections. There is always hope! Today [in Edinburgh] … liberalism swamps the city and churches, and atheism patrols the halls of power. The apostle Paul, addressing the Christians in Rome, declared that people “by their unrighteousness suppress the truth [about God]” and that “they are without excuse” (Romans 1:18–32) because it is obvious that God created the world. 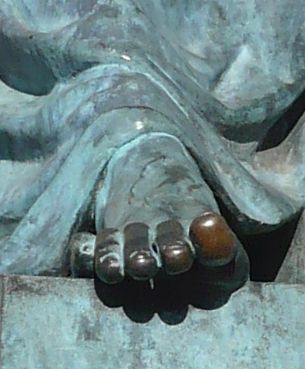 Ironically, the thousands who now rub David Hume’s toe are simply expressing the fact that we are made in God’s image. If we don’t worship God, we end up worshipping something else. All this is happening at such a time when many students are beginning to thaw from a long winter of atheism, and are starting to ask questions about design, evolution, and God. May the Church in our nation rise up to seize the opportunity that will come again. That’s why the ministry of organisations like CMI are so crucial to equip the saints for the battle all over the world. First published in CMI-UK/Europe’s Update, August 2016. Return to text. Several tours are available, such as the Christian Heritage Tour, soulofscotlandtours.org.uk and christianheritageedinburgh.org.uk. A private tour (Science and Faith) is also available by special request. Return to text. In other words, ‘all is in vain without God’. Return to text. 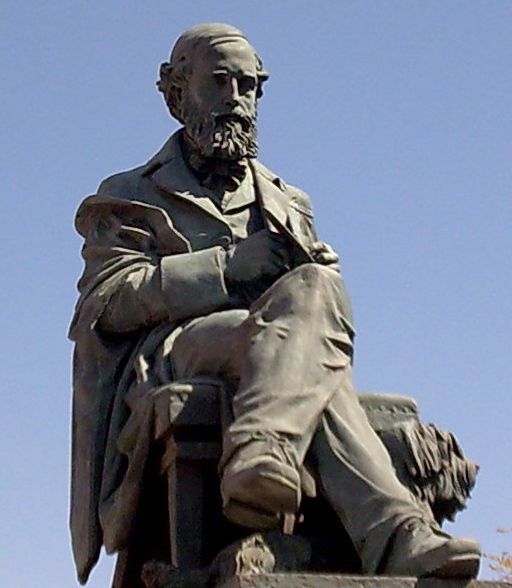 John Napier (1550–1617); Sir David Brewster (1781–1868), pioneer of optics whose foundational work was key to laser technology later, and who was co-founder of the British Association for the Advancement of Science ; James Clerk Maxwell (1831–1879), who is ranked alongside Isaac Newton and Albert Einstein as one of the greatest scientists ever, and whose work in formulating the ‘Maxwell equations’ for electromagnetism was foundational for today’s technological revolution; Lord Joseph Lister (1827–1912), who was the Father of Antiseptics and who advanced many surgical methods and inventions; Sir James Young Simpson (1811–1870), Father of Anaesthetics. Return to text. Freemasonry is a set of mystical and philosophical beliefs that may appear to be Christian on the surface, but are actually derived from the mystery religions of Greece, Rome, India, Egypt and Persia. Return to text. Uniformitarianism is the belief that present geological processes acted in the same way in the past, and that this happened gradually over millions of years. James Hutton was the pioneer of this thinking and Charles Lyell (1797–1875), another Scotsman, popularised this theory with his three volume book Principles of Geology (1830–1833). Return to text. Monboddo, eccentric as he was, pioneered evolutionary thinking about human’s supposed ape ancestry long before Charles Darwin. See, Burnett, J., An Account of a Savage Girl, Caught Wild in the Woods of Champagne (pp. vii-xviii), and Of the Origin and Progress of Language (pp. 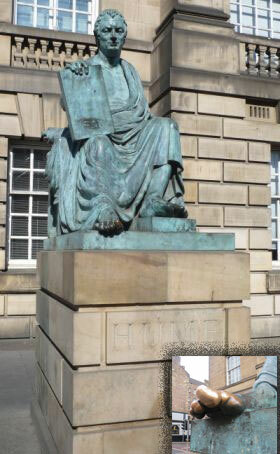 174–175), 1773; as cited by James Buchan, Capital of the Mind: How Edinburgh changed the world, Birlinn Ltd, pp. 234–235, 2007. Return to text. Neaves, C. (Lord Neaves), Songs and Verses, Fourth Edition, London, 1875, p. 5. Return to text. George Young (1777–1848); Andrew Ure (1778–1857), and John Murray (c. 1786–1851); see creation.com/scriptural-geologists. Return to text. The Gap Theory proposes that any amount of time may have existed between Genesis 1:1 and Genesis 1:2. Return to text. 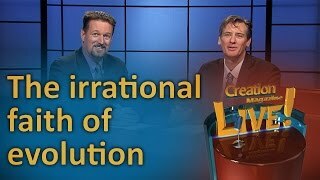 Theistic evolution is the theory that God used evolution to develop mankind, from bacteria to people. Drummond also wrote several books on this subject, such as Natural Law in the Spiritual World (1883) and The Ascent of Man (1894). Return to text. Hume, D., Giant of the Enligh-toe-nment, The Scotsman, Monday, 31 August 2015. Return to text.